World Cat sculpted a broken sheer into the 280CC-X, rounded the bow and gave the boat’s reverse transom some tumblehome. The rub­rail was moved higher to give the boat a sleeker profile. Features include C-Zone digital switching with a Garmin interface, Optimus 360 electronic steering and joystick, an aerodynamic hardtop and a through-hull bow anchor holder with an internally mounted windlass. The boat can fish hard and handle family day-boating duties. 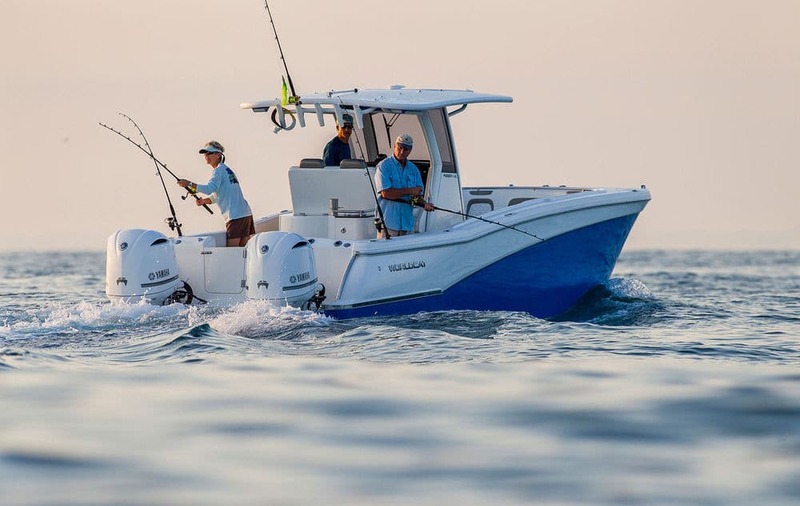 Standard equipment includes a leaning post with a 30-gallon live well and tackle stowage, an enclosed head with a forward entrance, wraparound bow seats with insulated stowage below and twin 355-quart fishboxes that double as rod lockers. The 280CC-X runs efficiently, getting 2 mpg at 30 mph and better than 1 mpg at a wide-open speed of 59 mph.